We have been involved with the llama industry for over 30 years. During that time, Niki has studied bloodlines and genetics in llamas extensively, At this time she has the largest list of llama bloodline traits and defects in the industry. With this information we have built our herd on some carefully selected bloodlines that to the best of our knowledge produce packer and show quality offspring. We have been fortunate enough to obtain females and males from some of the most respected breeding programs in the United States. Breeding is not taken lightly here and it is a long term work of love and dedication to improve the species. Nearly all of our animals are Halter and/or Performance Champions in the ALSA/ILR system, proven packers or have produced offspring that have done quite well in the showring or/and on the trail. 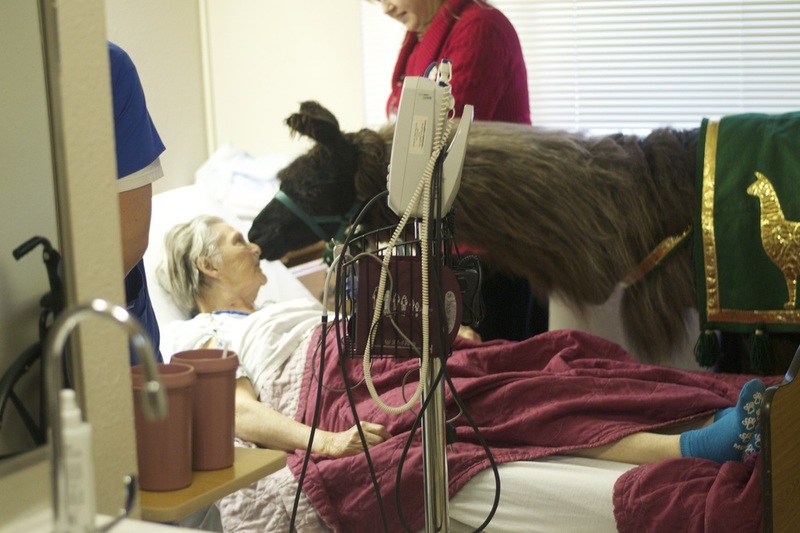 Additionally, we have been fortunate to have TWO ALSA Elite Champions, TWO PLTA Master Packers and SEVEN Pet Partners (formerly Delta Society) therapy llamas in our herd. Now with the ILR show division, we have animals winning titles there too! We try to focus on having only a few spectacular animals that are well trained. By focusing on bloodlines and traits, we are able to produce fewer animals for a quality vs. quantity approach. We BREED, TRAIN and SHOW our own animals. We are the only farm in the llama industry that breeds, trains, drives, packs, shows, does therapy work, utilizes fiber, supports 4H, rescues and is judging. Many of the animals we have sold are winning in both halter and performance for their new owners. We are the "Real Deal!" References from previous customers are available. 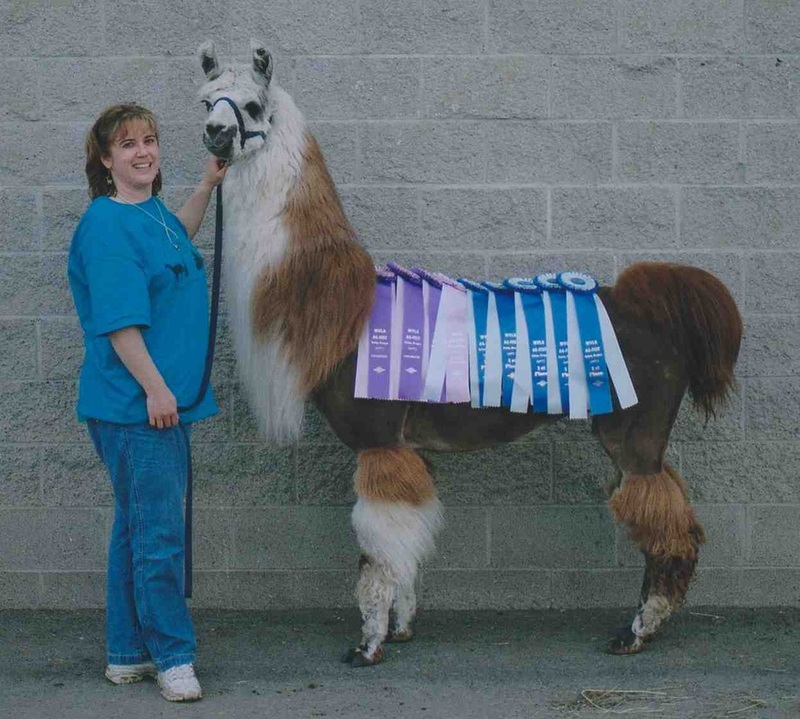 Our show results are also available on the International Lama Registry Show Division website and ALSA website. You can also see many of these winners in our various ads HERE. Because of our successes, we do have other farms pretending to emulate our approach and information....Beware! To find out the specifics (pictures of offspring, sires, dams and other information) on any animal listed, click on their link. If our females are bred, we will take first right of refusal requests on crias if we decide to sell them. Our 2005, 2006, 2007, 2008, 2011, 2012, 2013, 2014, 2016 & 2017 crias (years we didn't win, we didn't compete) that were shown, all took Novice or Maiden Grand or Reserve Performance at their first show. Within our current herd, we have two separate breeding programs; A classic/pack style herd and a woolly herd. Both programs receive the same training and care. We do have a waiting list for offspring from our llama breeding program. If you want to be considered, please contact us! We have now switched over half our herd to classic style pack llamas. Not only have we realized we really like classic llamas, but we also can no longer handle the grooming and time it takes to keep up the coats of many woolly type llamas. Our classic llama herd is based on bloodlines, packing histories, longevity, coat type, show/trail quality conformation and genetics. We have a small herd of classics that are from some of the very best packing lines in the country. As another bonus, we are proving them in the show ring too and they are winning. We also use several for therapy work. It has taken us many years to find the animals we now are using and we are pleased with our production to date. To be put on the waiting list for our packers, please ﻿contact﻿ us. found on Facebook under "Registered Therapy Llamas."